Provide real-time push notifications and promotions automatically to customers who pass a physical Beacon at your business location. Think of beacons as “buttons or links to the physical world around you”. With our beacons deployed at your storefront, you can directly communicate with your consumer’s phone and tell her about specials, discounts and coupons. The outcome of such campaigns is positive because, for example, coffee shop owners have a much more robust picture of what customers are doing in and around their stores, and they can base their offers on data rather than assumptions. For most of our customers owning a coffee shop, the click-through-rate (CTR) is 3-4%, which is 30 times the CTR of a Facebook ad! You might be offering a suite of services for your customers at the coffee shop, such as free WiFi, electrical outlets at each table for laptops, poetry readings and more, but it’s important to inform them about it at the right place and time. And our beacons are just pro in it! Also, to widen the reach, push a shareable link about the service/event so that they can forward it to friends and family as well. Loyalty programs can be as simple as notifications with the promise of receiving every Nth cup of coffee free, which can be attractive to daily coffee drinkers. These offers are most effective while customers are paying their bills. For local businesses, it is important to understand what works and what doesn’t. Budget dedicated to marketing fails only when one cannot numerically predict the ROI from it. One of the major faults in billboards, fliers, magazine ads etc. is that you cannot measure the impact. It is difficult to learn what language connects best with the mass, which places are the best for advertisement etc. 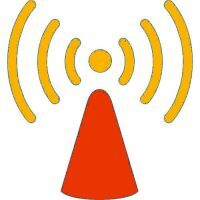 Affordable Message Beacons System For Your Business!